The best (comfortable) skirts and dresses that every girl should own — outfit inspiration included! Take it from someone who’s always overdressed; it pays to have the right pieces in your closet. Skirts and dresses are an instant way to elevate the way you come across, and they can look and feel comfortable. As mentioned in our guide to clothes for college, every girl needs some skirts and dresses in her collection. Here is the CF guide to types of skirts and dresses that every girl should own, and the best places to buy them! 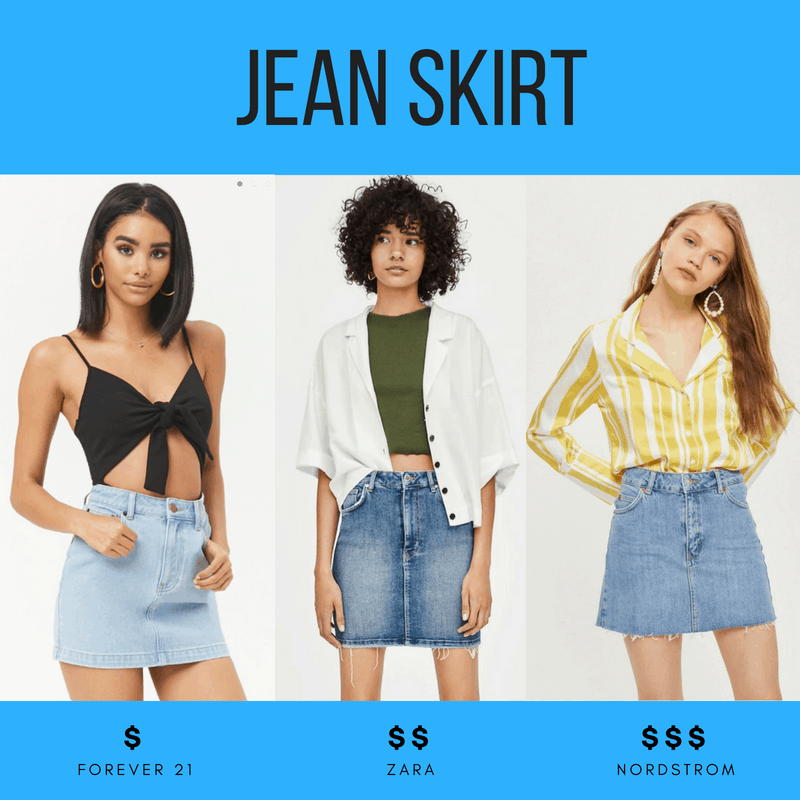 Jean skirts aren’t just for middle school dances anymore; wear them with a cute crop top or button-up to achieve an effortless and casual vibe. This is the ultimate everyday skirt that can transition from day to night, whether you’re heading from class or a relaxed meeting to an evening out with friends. You’ll spot jean skirts at your typical college party during warmer months too! Channel your inner ’90s girl like Jenna (pictured at the start of the casual section) with a black cami, layered jewelry, and flannel tied around your jean skirt. 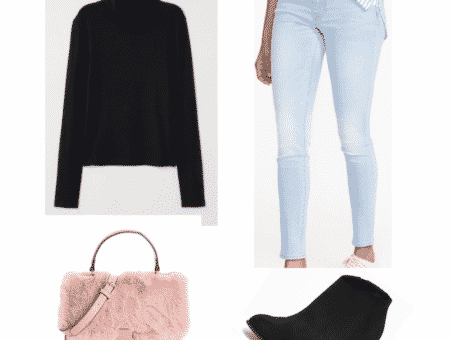 This outfit is foolproof, and also easy to recreate with pieces that are already in your closet. Shift dresses are effortless and classic. Easy to dress up or dress down, your closet isn’t complete without one. Go for a neutral color like black to play up colorful accessories for a chic look or add simple silver and gold jewelry for a minimalist feel. 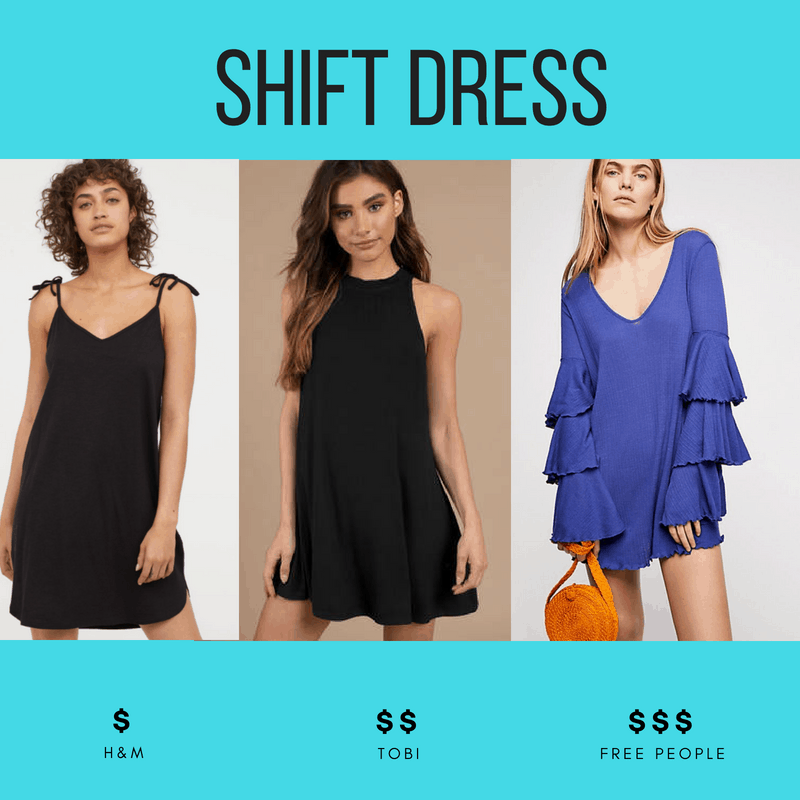 Colorful shift dresses, like the piece from Free People pictured above, are also fun for a brighter look! Pair with color coordinating accessories for a vibrant and eye-catching outfit or pair with simple jewelry; those layered sleeves can do the talking for you. 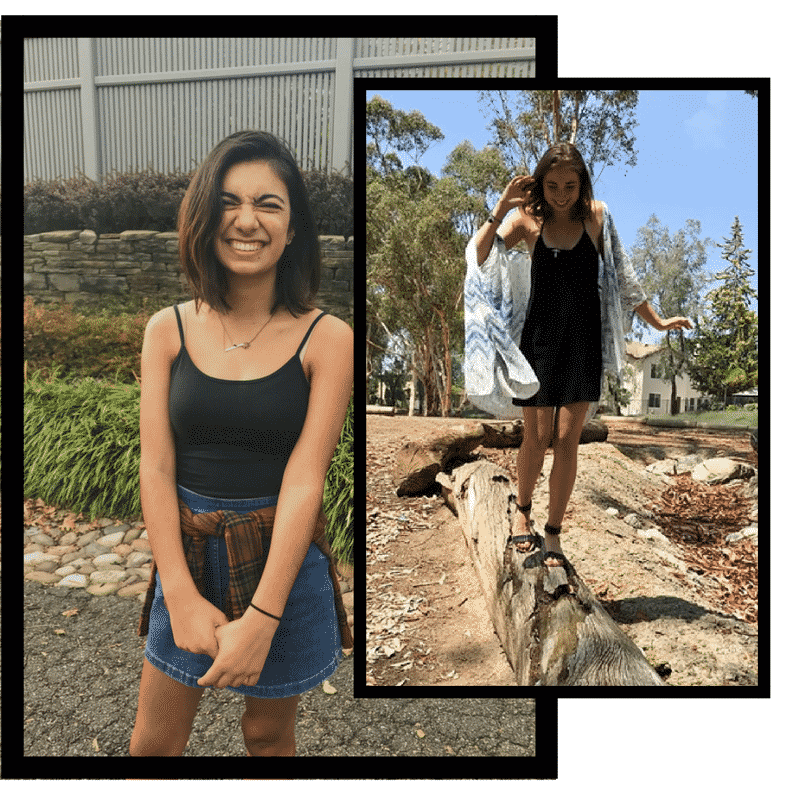 Haley, pictured next to Jenna in the header of the casual section, embodies the effortless Cali girl vibe in her classic black shift dress, flowing wrap, and espadrilles. This is an awesome outfit to wear if you’re having a photo shoot with friends since you’ll be comfortable and looking stylish! 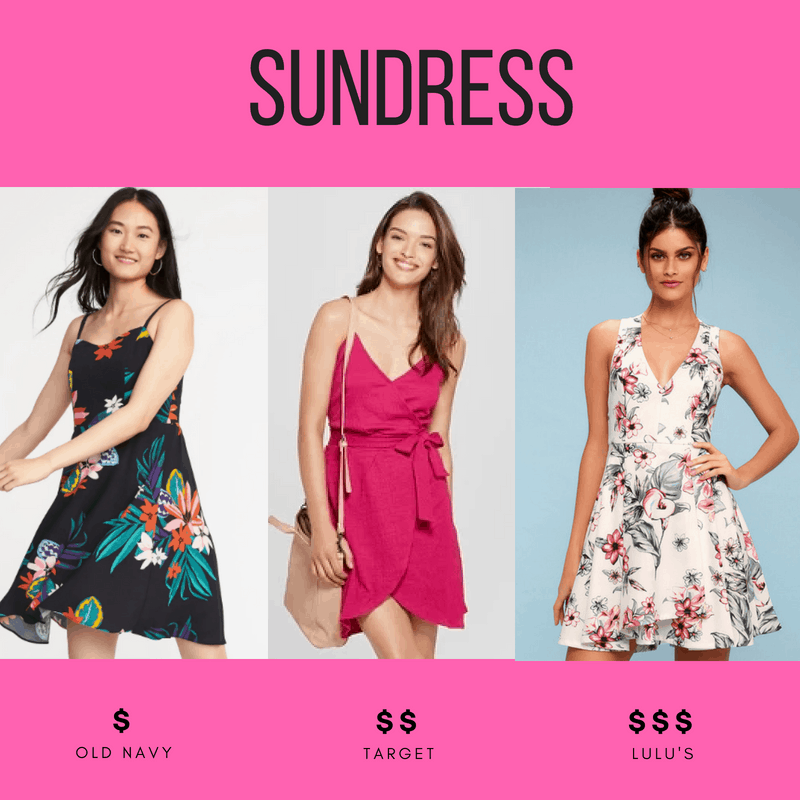 Sundresses are the ultimate summer stand-by: we love a fun print or color! Fit and flare dresses are also incredibly flattering, and florals never go out of style. 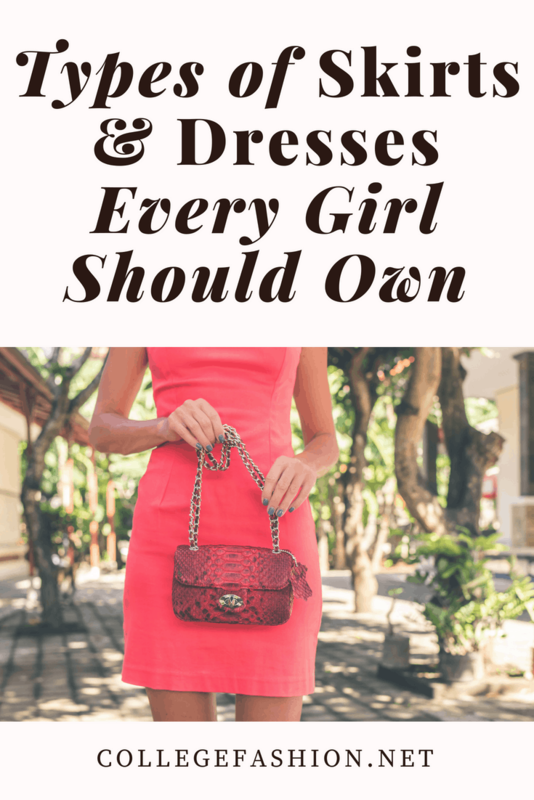 These dresses are a personal favorite of mine and a go-to option when I have a date or other somewhat formal occasion where I want to dress to impress while still looking effortless. I highly recommend picking a sundress in a pattern or bright color you can see yourself wearing for years! The sundress I’m wearing, pictured in the center of the versatile header, was actually found at Old Navy for under $20. I’ve had it for almost four years now, and I’m still not tired of wearing it. The palm and floral print is still relevant, and oh-so easy to style. I mixed patterns by adding on my striped gold wedges and accessorized with a simple silver charm necklace (covered by my hair). Okay, technically this isn’t a skirt or dress, but they definitely achieve the same effect where you look stylish and put-together with minimal effort. This is the ultimate option for comfort and those who want to avoid a Marilyn Monroe moment. 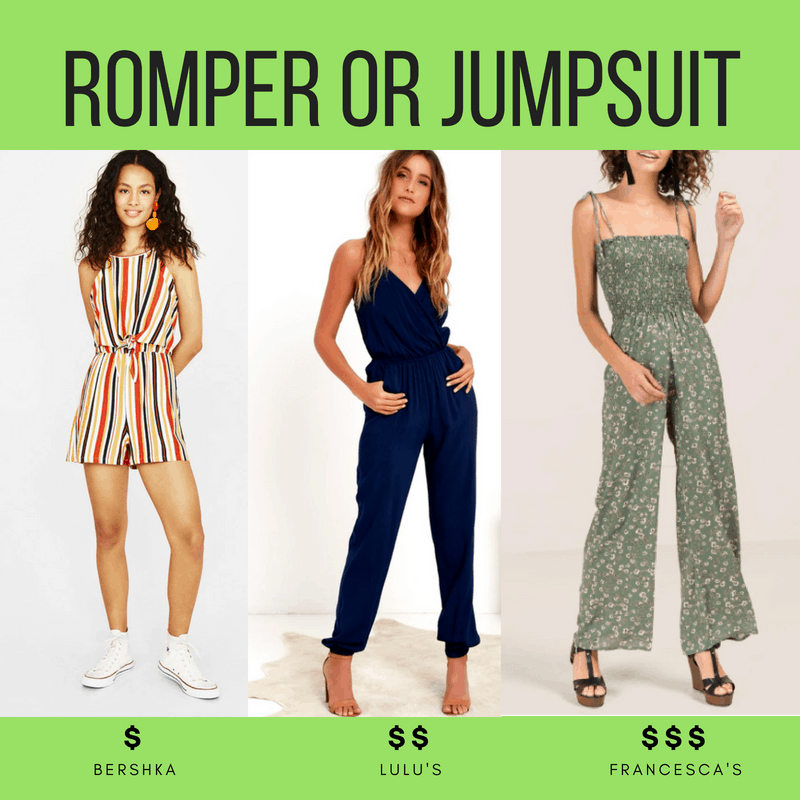 Rompers are nothing new in the fashion stratosphere, but jumpsuits are definitely having a moment in the spotlight, especially with the rise of culottes. 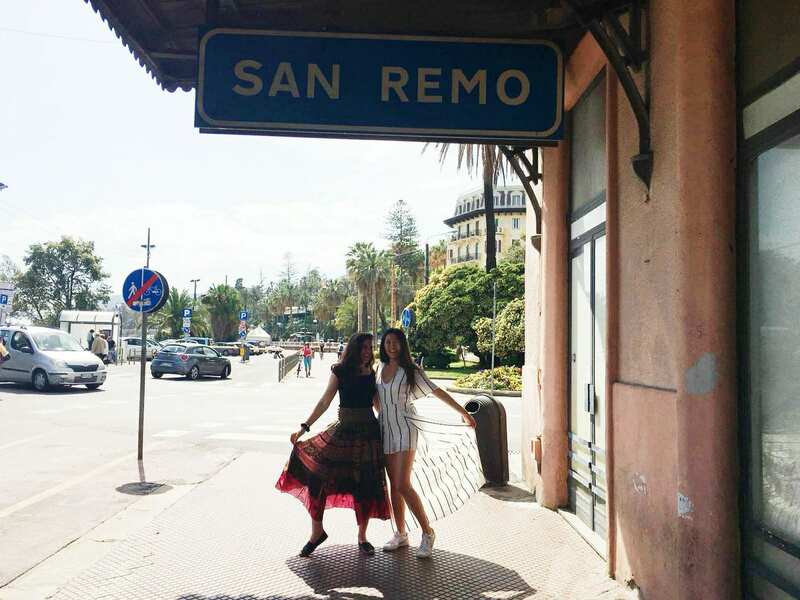 The jumpsuit from Lulu’s is the most versatile, the romper from Bershka is the most street-style friendly, and the option from Francesca’s incorporates the new smocking trend: cute! 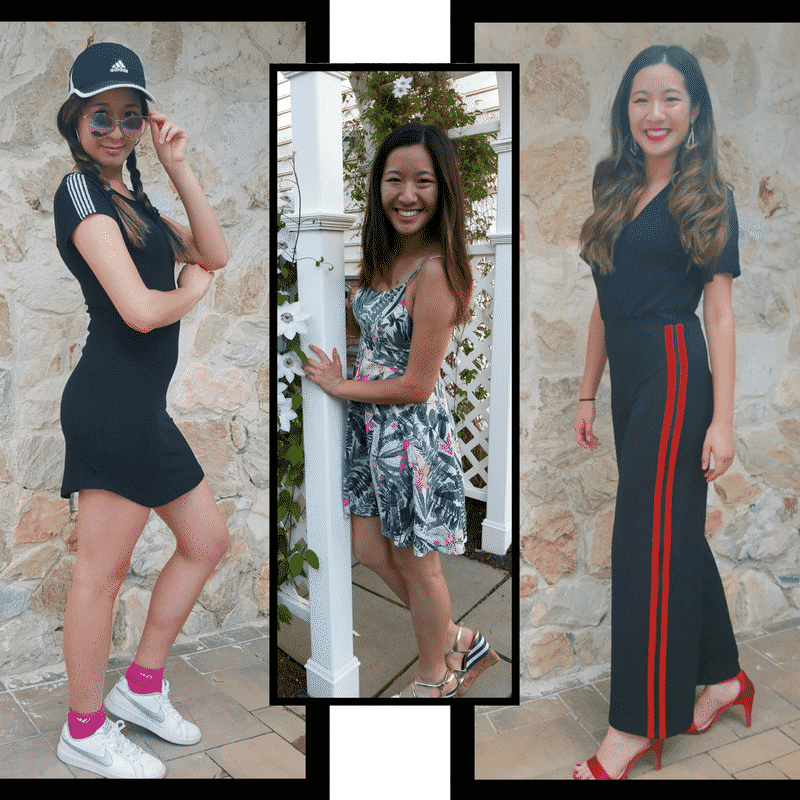 My jumpsuit with the red stripes down the sides is actually from Bershka and is one of my favorite pieces in my closet at the moment; it’s a dressed up version of athleisure sportswear and I feel like I’m wearing a onesie when I’m in it. I love pairing it with a simple strappy red block heel and red lipstick (Russian Red by MAC is criminally underrated) to play up those vibrant stripes. 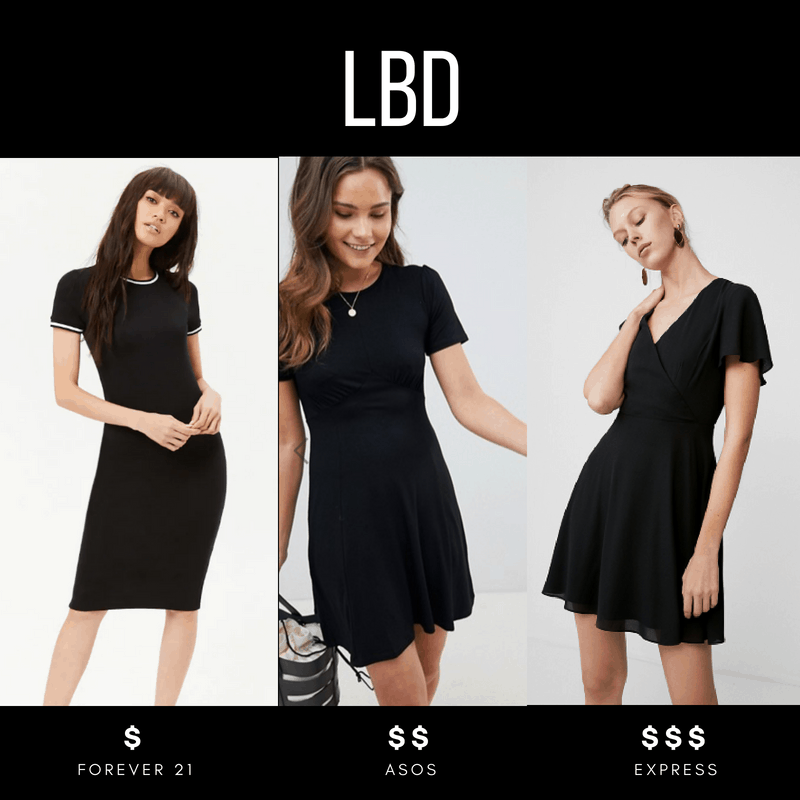 You didn’t think we’d write a piece on essential skirts and dresses without mentioning the Little Black Dress, did you? The last say in versatile wardrobe essentials, a well-fitting LBD will never let you down. It can be casual or formal and can easily transition between the two. Can we say “day to night look” by swapping out a jean jacket for a leather jacket? This piece is definitely worth spending a little more money on to ensure it’ll last through the years. My LBD is a casual item with some sporty piping on the sleeves, found for $5 at Marshalls (! ), so I took full advantage of the athleisure trend again by pairing it with my Adidas baseball cap and Nike sneakers. I wanted to add a pop of color so I threw on my mirrored pink shades from Amazon and added some hot pink socks. Everyone needs to dress to impress Grandma or a partner’s parents, or look nice at a family reunion once in a while. Look classy while staying true to your youth by wearing one of summer’s biggest trends, the wrap dress, in your favorite color or print. 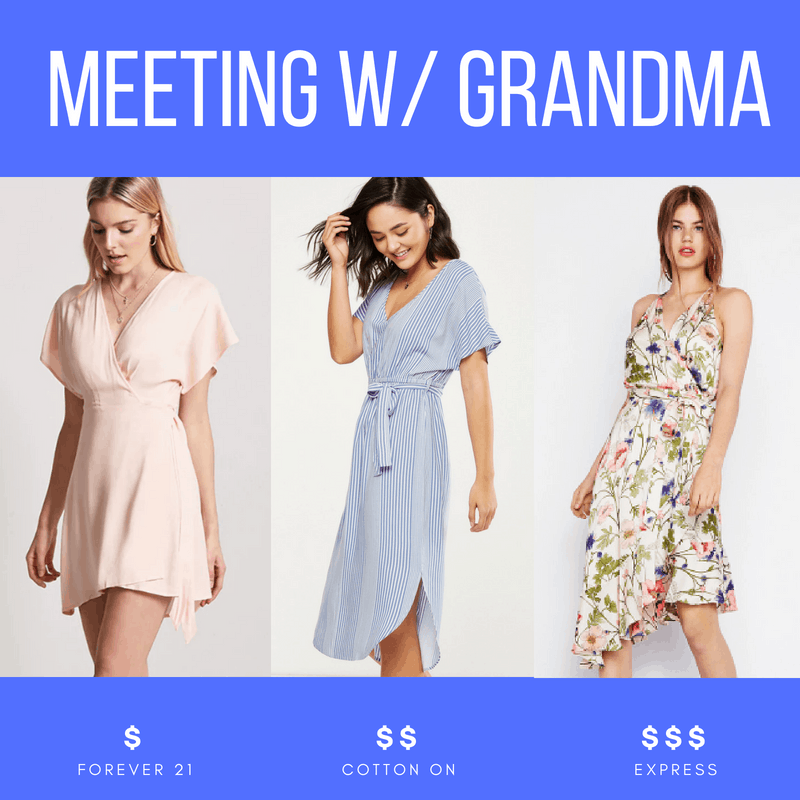 I love the Forever 21 option because it’s an item that would be easy to pair with statement accessories, the Cotton On wrap dress because it looks classy and timeless, and the Express option because the asymmetrical hem puts a modern twist on florals. Lauriane’s vintage-inspired dress, upper right of the Formal section header, looks modern paired with her cool red sneakers. The red sneakers also bring out the red flowers printed on the dress! She proves that dressing modestly does not mean dressing in a boring way as she looks absolutely gorgeous in her patterned wrap dress. This photo was also taken in the Netherlands; cool right?! You’ll need this option for your next college formal or Girl’s Night Out; own your power and dress like you know how fierce you are! 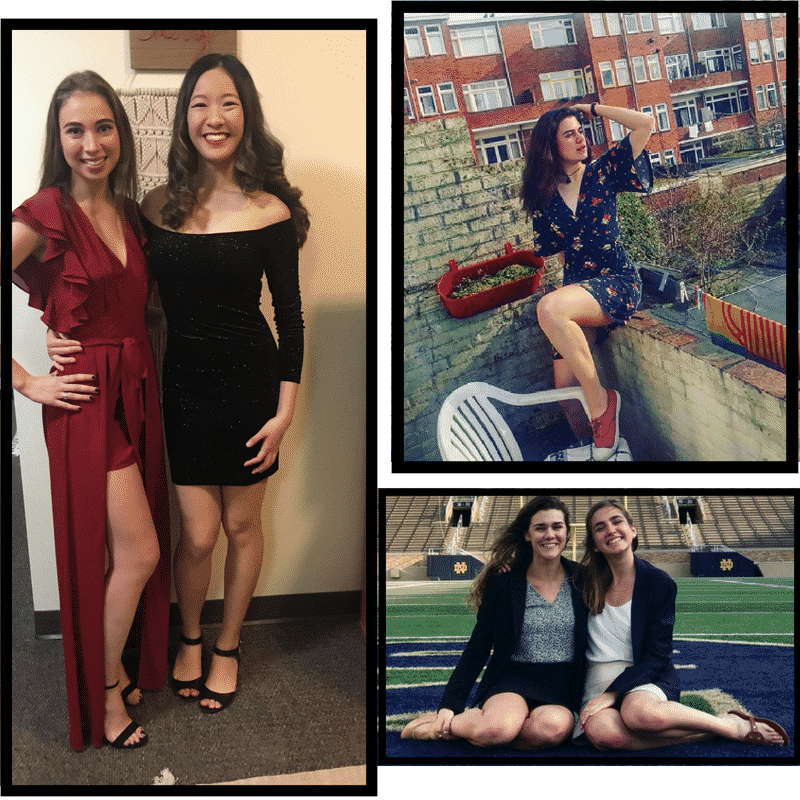 Bodycon dresses are pretty standard fair for college girls, so having an option you’ll enjoy going back to will help you avoid buying a new dress for every college formal you end up going to. 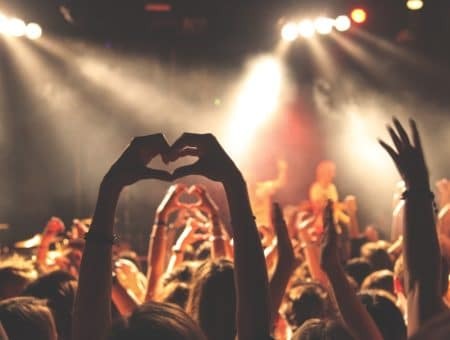 Don’t spend too much on this option since you want to enjoy your fun night out without worrying about ruining an expensive dress. Also worth noting: the Tobi dress has pockets! This photo is technically a two for one; Haley is wearing an amazing red red romper with a flowing cape attached and I’m wearing the black sparkly bodycon. Haley proves that a going out outfit definitely doesn’t have to be restricted to a tight and short dress, and she looks absolutely amazing. My black bodycon is a piece from Forever21 that has a super cute off-the-shoulder cut. I’ve had it for about four years now, and somehow it has survived everything from the high school homecoming dance to my first college formal. Your professional wardrobe shouldn’t be restricted to black dress pants (unless that’s your signature look). Throw in a classic shift dress, a pencil skirt, or a modern dress to achieve the ultimate #bosslady vibe. While dress codes vary from job to job, chances are you will have to look more formal on one occasion or another. Keep your work option clean, ready, and in your closet so you can focus on preparing for that huge presentation, not on what you should wear. Again, this is an investment piece worth spending a little extra money on since this could last you well into your 20s and maybe even early 30s. Sarah is taking the financial world by storm (pictured on the left) with her friend at a professional conference. Her blazer and simple black pencil skirt are anything but boring with her cute patterned blouse and confident smile. The perfect fit of these pieces is also essential! Work options can still stay true to your personal style; sometime it just requires some creativity. What are your favorite skirts and dresses? What do you think about our guide to essential dresses and skirts? Are these pieces you regularly wear? Should we keep offering options at different price points in our guides? Let us know in the comments below if we should update any of our items!